Prof. Avner Adin Chair of Adin Holdings, Mr. Eli Ronen past Chairman of Mekorot, the Israeli National Water Company and many more personalities and experts involved in the effective address of Water and Sanitation challenges in Israel and the role of civil awareness and education in this regard. The symposium will be run by Rotarian Michael Pascal, a well-known water expert. For more information please contact: avifuchs@netvision.net.il and/or Graziella at 052-6908054. 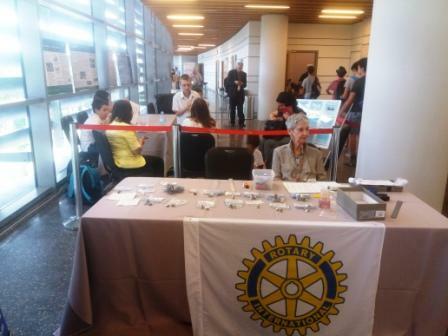 Note: It is mandatory to register in advance for the Rotary event.